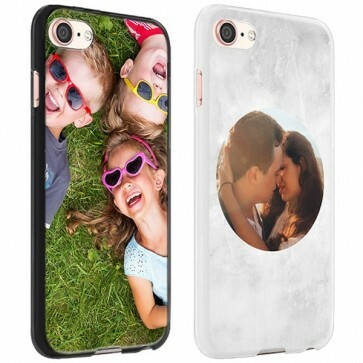 Make a custom iPhone 8 case with your own photo and designs. Protect your iPhone 8 on the back and the sides! The options are limitless while creating your case! While creating your custom iPhone 8 case, you are in control creating your own unique one of a kind case. 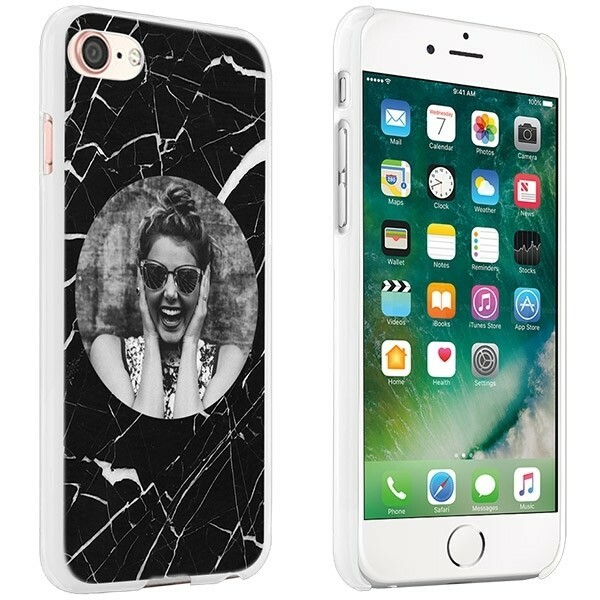 The cases are a combination of your favorite photo or design and high-quality products. The case may be a bit less flexible than the other cases we offer, however it is definitely a lot stronger! This helps protect the sides and back of your iPhone 8. So what are you waiting for? Start designing your custom iPhone 8 case now! Quickly and easily create your custom iPhone 8 case! Worried that you have to be a graphic designer to make your own iPhone 8 case? No fear, it is very easy and fast with our user-friendly design module. First, upload a nice photo or image. You can upload pictures from your own hard drive, but also from Facebook or Instagram. If your heart desires it you can also add text - which can be an inspirational quote or a date that has a lot of meaning to you. If you are satisfied with the result then all that is left is to submit the order. That's it! It’s that easy and before you know it you will have your very own custom iPhone 8 case. We would like to go above and beyond the expectations of our customers. That's why we ensure fast delivery and quality products. Your design is printed directly on the case with high-quality ink. This way we ensure the best results which last for a long time! Do you have any questions about the case, the delivery or the design process? Our customer service is always here to help you! We will ensure your iPhone 8 custom case is exactly the way you want it.